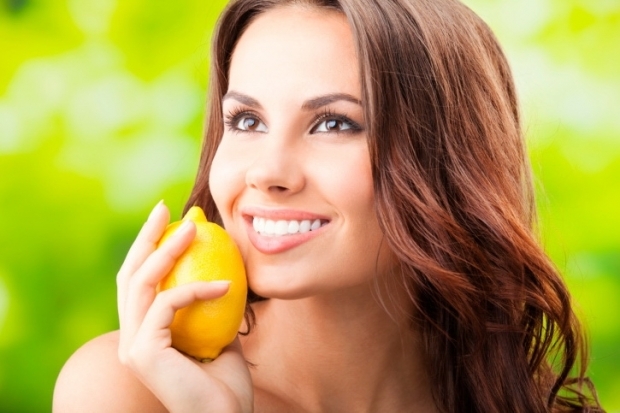 Lemon Facials: Homemade Facials for Oily Skin. Pamper your oily skin type with these nourishing and soothing homemade recipes made with lemons. Oily skin is among the worst skin types that you can have, as it can determine the formation of whiteheads, blackheads and pimples, reason for which it must be kept under control with oily skin facials. Although you can ask for these facials at the spa, you can save a lot of time and money by preparing them by yourself in the comfort of your own home. The most efficient masks for oily skin are those that contain lemon, as lemon juice is the best possible ingredient able to curb the pores’ oil production. Therefore, in case you want to try one of these facials, you just need to learn how to prepare and use them. The simplest recipe of preparing a lemon facial involves mixing equal parts of water and lemon juice. In order to apply the resulting mixture on your face, you can use a cotton ball by tapping it on all of the skin areas that are problematic. In case the mixture stings, make sure to rinse your face with water after you give yourself the facial. In addition, remember to moisturize your face afterwards as well, because lemon can dry your skin too much, which is not at all desirable. On the other hand, lemon juice can really do wonders for your skin, in case you have an oily skin type. The lemon’s citric acid has the ability of breaking down oil molecules and of cleansing the top skin layer by leaving behind a soft, smooth complexion. The reason for which lemon juice can be found in so many different cosmetic products is because it can function just like an astringent. However, the juice can also be used on its own, and not necessarily in combination with other ingredients. Therefore, if you want to benefit of the advantages it has to offer, you can simply squeeze the juice directly on your face. If you want to try more sophisticated lemon facials, you can easily go for one made of the juice from half a lemon and ten tbs. of milk. This mixture should be massaged onto your face until it gets absorbed by your skin. While the lemon in this facial has the ability of breaking down your skin’s oils, the milk in it can easily moisturize and soothe your face. Therefore, by using this face mask, you can easily cleanse your skin and moisturize it at the same time. Nonetheless, when using facials based on lemon juice, you should always avoid spreading them near the eyes, as they can sting really badly. In addition, you should never use them excessively, because they can dry your skin too much. In case you feel that using lemon alone can be too much, try mixing its juice with honey, another great natural product that is used in many cosmetics and by many beauty addicts. The juice of half a lemon and no more than two tbs. of honey can do wonders for your skin. Leave the mask on for at least 20 minutes, rinse it off with warm water and witness the great effect. You will never want to try any other cosmetic product again!